This is the matching neck pickup for the Vintage T Series bridge pickup. It offers full-bodied midrange and a clear top end that sounds full and clean with moderate amp breakup. It's wound with larger diameter wire to give you less compression compared to typical Tele neck pickups. Made with Alnico 5 magnets, wax potted coils, and vintage style cloth covered lead wire. 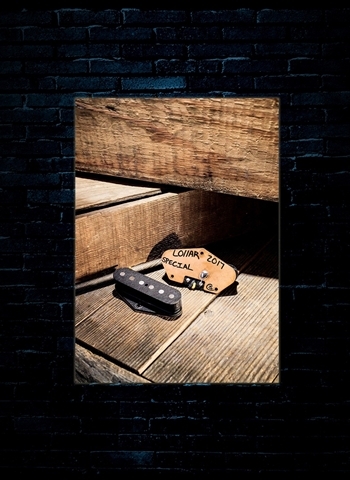 Get that classic Tele twang along with just enough midrange and bass for a gritty growl with Lollar Vintage T Series bridge pickup. 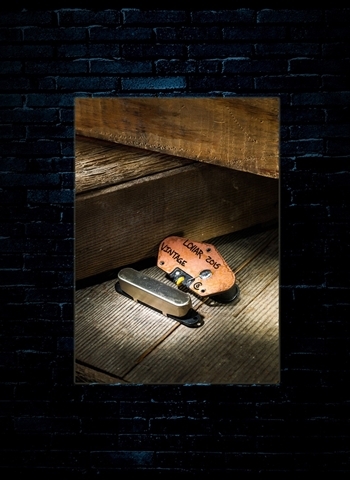 Their design gives you a touch more sustain than you get with typical Tele-style pickups. Features an early flat-pole design with graded Alnico 5 magnets, wax potted coils, and vintage style cloth covered lead wire.